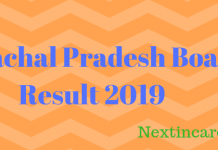 Board Exam Result 2019: Various Boards have released the date sheet for class 10 and 12 board exams. Students appearing for the examinations must go through the released date sheet and start preparing themselves. The State Boards of India will conduct class 10th and class 12th Exams in the months of February, March, and April for the year 2019 respectively. 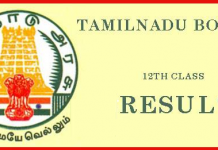 After the exam has been conducted, these boards will announce the result for 10th and 12th classes. Students can check their Board Exam result 2019 in the month of May and June as various boards will declare their results accordingly in different months. All the students who will appear in the exam can check their result from the table given below containing the Result links of class 10th and class 12th board examinations. This table is provided for candidates so that students can easily access their result since there will be heavy traffic on the official website and the server will not respond. Also, students can refer to the links for attaining information related to the 10th and 12th Board Result 2019. Previous articleGNM Nursing 2019 – Check Dates, Eligibility, Selection, Career Opportunities etc.